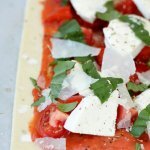 Make sure frozen puff pastry is thawed before starting. Preheat oven to 400 degrees F (or recommended temperature as per the puff pastry brand you are using). Prepare a baking sheet by lining it with parchment paper. Place unfolded, thawed puff pastry in the middle of the parchment paper. 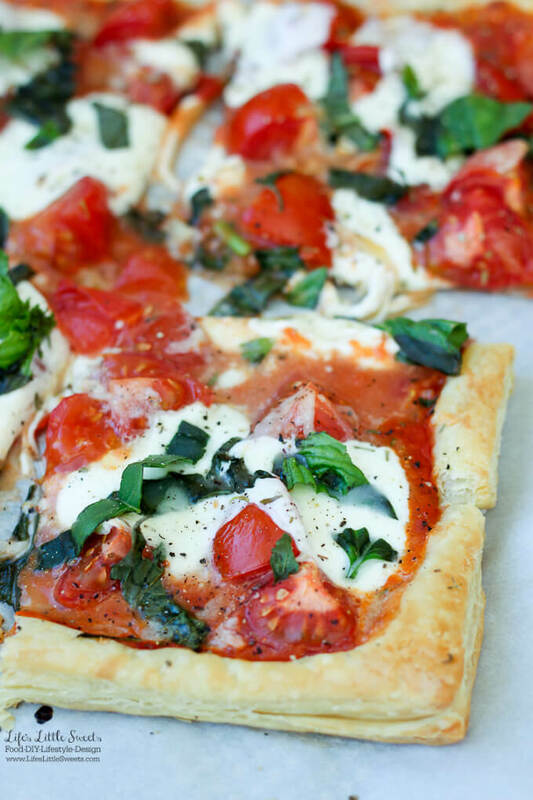 Spread the tomato sauce evenly over the puff pastry, leaving a 1/2-1 inch space along the edges. Evenly place the tomato slices over the tomato sauce. 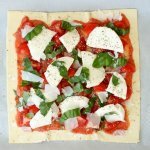 Evenly place the mozzarella slices over the tomatoes and sauce. Evenly add the fresh, sliced basil over the the ingredients. Sprinkle kosher salt over the top of the tart, you can add some fresh ground black pepper now or wait until serving to add. Bake at 400 degrees for 12-15 minutes or until puff pastry is light golden. Be careful not to let the delicate puff pastry burn. Important: Refer to your particular puff pastry brand's baking instructions. Serve with shredded or shaved Parmesan cheese and more salt and pepper to taste. Enjoy! Put the frozen puff pastry in the refrigerator the day before I want to use it, so it can thaw.